I recently came across Danny Iny’s new book „The Audience Revolution“. I have not quite finished reading it, but I am a good way in – it is worth your time! Danny writes about his “Audience first” approach to selling: To be successful you should build an audience before you decide on the product you want to sell. Together with your audience you then figure out what product they really want. You can start building your product together with your audience. This way you are building a strong connection between your audience and your product before you even have a finished product. And you can be fairly sure that your audience really wants your product. This approach is in contrast to the often followed approach “Product First”, where you have a finished product and then start looking for your audience. While I agree that actually selling with the “Audience first” approach might be easier, I do believe that in some cases the product first approach has its perks, too. After all, there are cases where the audience does not “know” what it needs or wants before it sees it and needs to “see” or “feel” the product before they even know that they want it. A lot of innovation is not going to happen if we all go by the wish-list of our audience for the decision what products we are going to build. 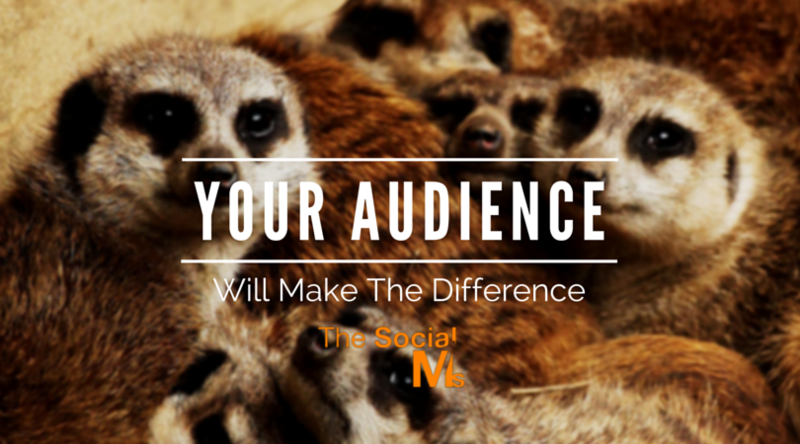 However in Social Media Marketing sometimes the realization that you need an audience seems already to be a huge step to make. 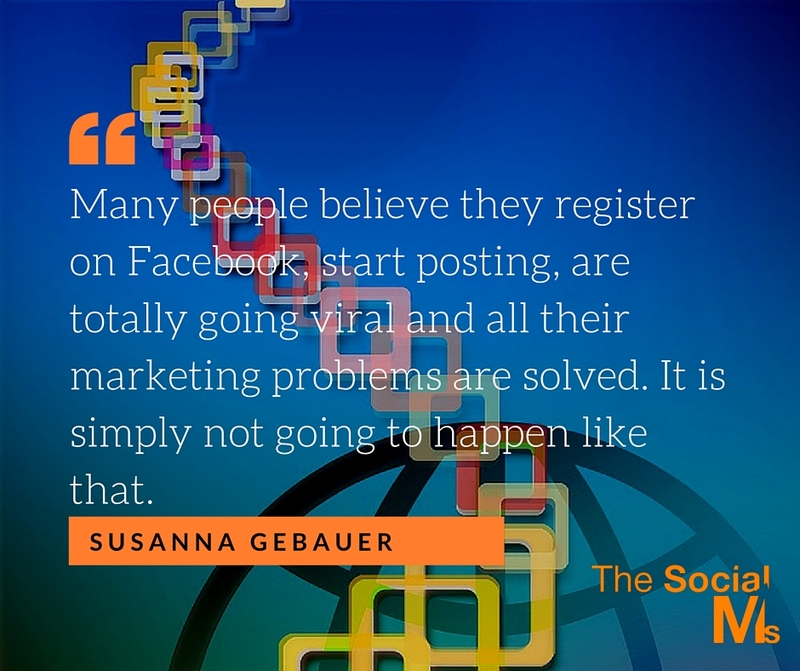 Many people still believe they register on Facebook, start posting 2 or 3 updates every week, at least one of which is totally going viral and all their marketing problems are solved. It is simply not going to happen like that. With our last venture exploreB2B (a publishing platform which went out of business in the beginning of 2015) we totally believed in social media marketing as the way to go. We needed not only to market the platform to potential publishers, we also needed an audience for all the great published content. As it was, we took far too long to figure out how to build an audience. We decided on founding exploreB2B in 2009. We actually founded the company in spring 2010. I registered on Twitter in fall 2010 – only to give our new company account a first follower. I kept more or less silent for months until we actively started growing our audience on Twitter in the second half of 2012. Just imagine what my audience could be if I had used those 2 years to actively build an audience. An audience is not a magic bullet. Many things can still go wrong, even if you are building or already have an audience. And we have seen many of them. This is really bad. You can build an audience for ages and in the end, they will never buy your product. This is very often the problem with the product first approach. Many people who already have a product (or a product idea) have difficulties in really nailing down who their audience is – sometimes they simply make some false assumptions and end up in the wrong corner of the market. The audience they are then building will never buy the product – not because there is no market for the product, but because the audience is not right. You can build a (wrong) audience for ages and in the end they will never buy your product. 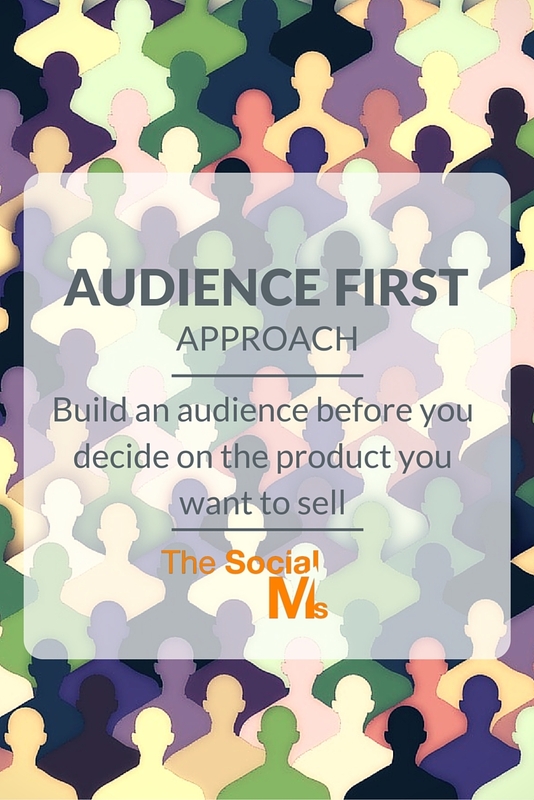 But even with the audience first approach, you can end up with the wrong audience for any product you could or would like to build. Targeting is key here! If you want to learn how to build a highly targeted social media audience for your blog or business and drive traffic, leads and sales from it, our ebook “The Social Traffic Code” is for you. This is also very common in social media. A Twitter follower is not a very faithful and abiding audience at first. It takes time on social media to turn followers into customers or even an attached audience – even if you involve them into the product development process. A Twitter follower is not a very faithful and abiding audience at first. The audience Danny Iny talks about in his book is an audience he built over time with a lot of knowledge, help and advice he shared with them for free. This kind of connection takes time to establish and it takes a lot of involvement and commitment on the marketer’s side. This also is something many people underestimate. They “buy” fans with ads on Facebook – and wonder why they cannot “use” them like Danny (or other influencers) use their audience. The answer is simple: Not every fan or follower is a committed audience when you just acquired them. You have to build trust over time and with a lot of commitment from your own side. There is no short cut to that. You can force yourself in front of an audience with ads or other activity in social media – only your actions can build the trust and the commitment you need to actually sell something to this audience. Now, even if you have loyal followers, fans and subscribers, who trust you and are strongly connected to you, and you have a great product they actually would want – you can still fail with selling your product to them. Sometimes the messaging is simply wrong. You will probably have a hard time selling anything if all you have to say is “buy my book” or “I offer you great services”. The advantage of having an attached audience is that you can ask them about anything you want to know: Whether you need to figure out how best to approach them or what products they would be interested in. It is not only the product development process (as Danny Iny suggests) where an audience can help with their insights. You can also involve them in creating sales pages, messaging, … whatever you need to optimize in your marketing you can involve your audience. Just ask them!. Besides helping you with optimization this also helps to build a connection with your audience. The overall conclusion is: You need people to listen to you first before you can sell to them. The higher the chances are that people will listen the higher are your chances of selling to them. You need people to listen to you first before you can sell to them. The less tight your audience is connected to you the bigger you need your audience to be to get the same results. It is not only about the numbers of your audience. What really counts is how much they listen and trust you, how well they match your target group and only then how big your audience really is. All these factors decide between failure and success. But an audience you need!